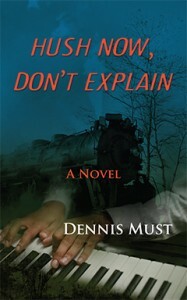 Hush Now, Don’t Explain ($14.95, 300 pp, 5×8 Trade Paperback ISBN: 978-1-60381-201-6) is a work of literary fiction by Dennis Must. A white orphan and two mixed race friends set out from Ohio on a trip to New Orleans, in search of their roots and their destinies. Hush Now has earned Dennis the 2014 Dactyl Foundation Award for literary fiction. Read more. It also won an Honorable Mention in the Eric Hoffer Awards and was a finalist in the 2015 International Book Awards. —Paulette Alden, author of The Answer to Your Question, Feeding the Eagles, and Crossing the Moon. —Andrew Wilson, author of The Luzhang Bridges, Across the Bridge of Straw & Fog, and Osai’s Razor. “Hush Now, Don’t Explain is a gorgeous novel told in a gentle voice and bearing witness to the true art possible from the pure American language. I have not read such a fine novel—controlled and wild at the same time—in a long while.” Read more …. Honor, an orphan, finds her way to the Victorian boarding house where she thinks her mother might have birthed her. World War II has just ended, which alerted many Americans to the world beyond, but Honor and Billy’s lives are limited to the dead-end town of DeForest Junction, Ohio, and its nearby notcherie, where exotic wemen sell their bodies to the rail men. Alongside her mixed-race “cousin” Billy, Honor grows to womanhood, cared for by Miss Alsada and enchanted by the colorful stories of the shanty store owner, Mr. Augustus Willard, who claims to have traveled far and wide. One day, an itinerant blues musician shows up at the boardinghouse, electrifying Billy with his skill at the upright piano. He departs just as quickly, leaving behind hints that he might be Billy’s father. Soon after Buster Stanley’s departure, men in white hoods burn a cross in the field behind the boardinghouse and torch a number of shacks occupied by black families. Honor and Billy decide to leave DeForest Junction—a feat they accomplish with the help of Mr. Willard, whose shanty store was burned. With Honor disguised as a boy for safety’s sake, the three friends ride the rails southward, their ultimate destination: New Orleans. Billy is on the trail of Buster Stanley, but Honor is on an intense quest for Honor. How will she escape that fate of those wemen, waiting for a man to fill up the void in her life? Dennis Must is the author of two short story collections: Oh, Don’t Ask Why, Red Hen Press (2007), and Banjo Grease, Creative Arts Book Company, Berkeley, CA (2000). His first novel, The World’s Smallest Bible, was published by Red Hen Press in March of 2014. His plays have been performed Off Off Broadway, and his fiction has appeared in numerous anthologies and literary reviews. Dennis and his wife Aviva live in Massachusetts. Click here to visit him online. Just then we heard a salvo of drumbeats and high-pitched coronets from outside. We followed Mr. Willard out the door and saw what looked like a parade. But nobody was standing on the side of DeForest Road watching, except us. The procession appeared to originate up at the Pillar of Fire Tabernacle’s steps. Sunday mornings from our porch, Billy and I watched all white folk arrive mostly by cars to worship. “Used never to be no tambourine and speakin’ in tongues church around here except the black folks’ Baptist church out on the highway,” Billy said. Women in crisp white cotton dresses with purple sashes toted ecclesiastical banners at its head. A brass band, kids our age attired in white pants and dress shirts and wearing purple berets, marched stiffly behind. Soot-pocked men wearing red bandanas and snare drums strapped to their chests closed the formation. The solemn music oddly foreshadowed the automobiles of revelers that would shortly come barreling down DeForest Road toward the tracks. “What they playing?” I asked. “A hymn, ‘Nearer My God to Thee’,” Mr. Willard responded as he stepped back into the shadow of his doorway. As the fair-skinned procession moved closer, I could see that the women color guard all wore lace-ups with heels like Miss Alsada’s. They lifted their legs high in time to the muffled drumbeat. Their heels popped on the macadam like paper caps. Still, not one person came out on a porch or waited by the side of the road. When the column got within several feet of Mr. Willard’s store, the music ceased. Only then did we see the lone bass drum on a set of wheels. A heavyset man in a white and red velvet sash commenced a solemn, steady beat. Boom … Boom … Boom … Boom …. A port-wine stain on his right temple pulsed with each strike. None of the procession moved. Visibly night began to eclipse the dusk. Heavy shadows swelled across DeForest Road as the ecclesiastical cloths seemed to glow phosphorescent. Ominously the color guard pivoted their staffs toward Mr. Willard’s shanty … then held them fast until the band struck up the hymn once again. The satin flags bordered in gold fringe bore no lettering. One of the women blew a silver whistle, and the parade resumed marching toward the tracks. Mr. Willard was nearly hidden inside the inky pocket of his shanty store. Billy and I didn’t know what to make of what we had just witnessed. I turned to our old friend for an answer. At the crossing the white ecclesiastical silks pitched moonlike toward the house of joy. Mr. Willard pulled the Dr. Pepper sign over the doorway. “Time to close,” he said.